I am so ready for this!!!!! One of the most common things I hear from entrepreneurs is that they’re sick and tired of feeling stressed abound money. They dream of the day they will no longer feel frustrated, and have anxiety about how much money their business is bringing in. I see this ALL the time, incredibly successful entrepreneurs…. stressed… I’m talking bringing in even 7 figures… STRESSED about money. Now how in the world could this be possible?! Isn’t that how it works.. once you make the money then the money problem is gone? Listen up, that is NOT AT ALL how it works. Your relationship with money is being caused by a limiting belief that’s creating THE STRESS. Our beliefs around money as a society… are completely off kilter and it’s time to heal them for GOOD. We’re taught we’re greedy when we make it. We must overwork. We must hustle. We saw our parents, our grandparents, so on and so forth hustling HARD, and it just doesn’t need to be this way ANYMORE. 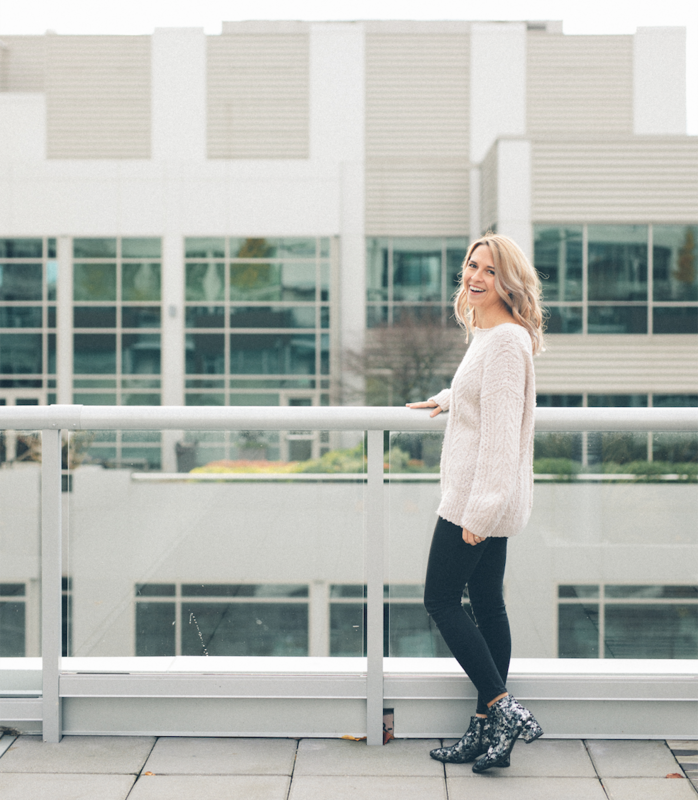 So… not only will you still feel stressed after you make more, but you’re repelling it by this limiting belief projecting out fear and uncertainty around your relationship with money in the first place. Well… not really yikes… actually not at all yikes. Limiting beliefs are just that, they are beliefs. And because they’re beliefs… that doesn’t necessarily mean they’re real. It just means it’s A BELIEF. 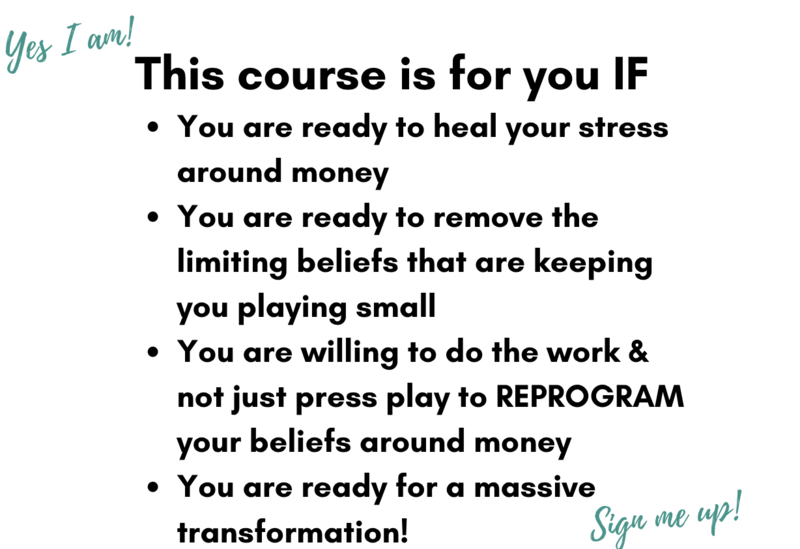 So.. what I’m saying is… ALL OF THIS CAN BE HEALED via the transformation tool and true experience you will go through in this course. Your relationship with money has major potential to upgrade, uplevel, and not be something you feel like you’re constantly repelling but in fact you are attracting! 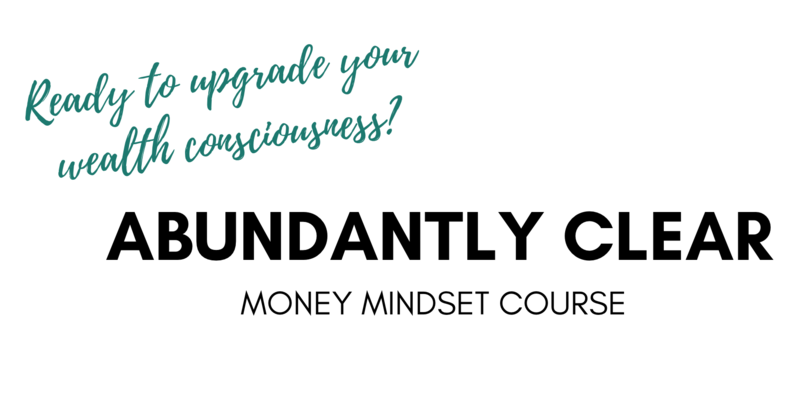 This course is: a space for a completely TRANSFORMATIONAL experience if you are ready to level up your relationship with money. Building a sustainable business starts with a FOUNDATION OF MENTAL CLARITY. I believe you deserve more, and I know you do too. Which is why it’s time to heal the blocks that are causing the resistance, creating the struggling, now and forevermore. 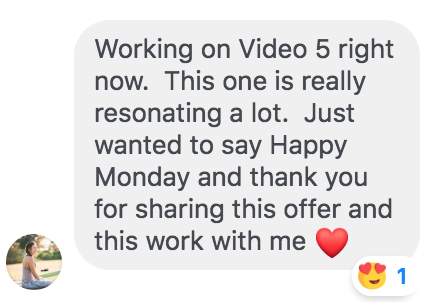 The Abundantly Clear Money Mindset Course is just that. NO FLUFF, just the stuff you really need. You don’t need to listen to me talk for 36 hours to heal your limiting beliefs, you need to take yourself through a process that DE-programs and RE-programs the real stuff that’s creating the problem. “But how will I know it works?” -> Great question, you have to be willing TO DO the work. The course is NOT just videos. I gave one of my private clients access as a bonus, and she came back with SIX pages of notes. She also just had a massive uplevel shortly after……… Tell me there’s no correlation?! “But what if it’s not the right time?” -> when the hell is?! “But what if it doesn’t work FOR ME” -> then this is how YOU KNOW you need it because you’ve got some scarcity crap showing up about what you do and don’t deserve, and that is going to SERIOUSLY damage your business. “But it’s expensive” -> You might be deciding it’s expensive, my private clients pay me WELL beyond this because they know THEY and their business are worth it investing in. I am completely results oriented. I made sure this course was going to give you just that. If you’re still reading, I think that means you’re ready. I'm Ready To Stop The Struggle!